Will this summer ever end? I can only count a few nights in the last couple months with comfortable sleeping conditions. Old farm houses do not cool down easily after the sun beats down on them all day. I am leaving my snowy background on Facebook until the weather breaks. I am sure glad I don't need to sit in a hot stuffy classroom all day. On a cheerier note, I have the sock ready for session two of my class. 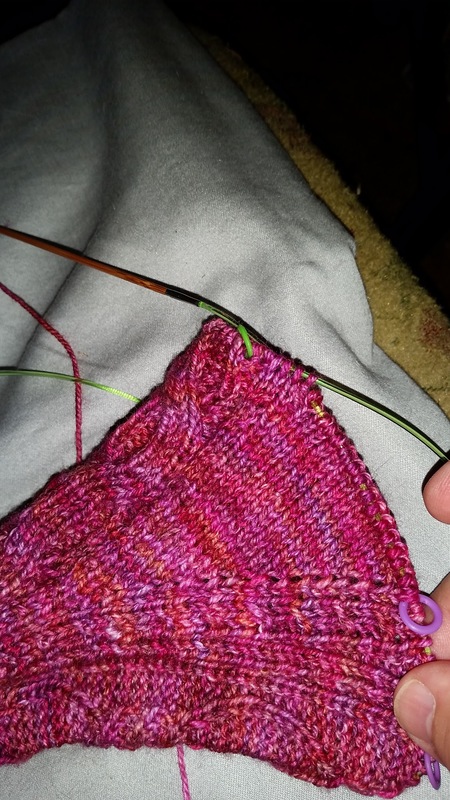 It is the Gold Digger Sock, top down with the gusset done before the heel turn. 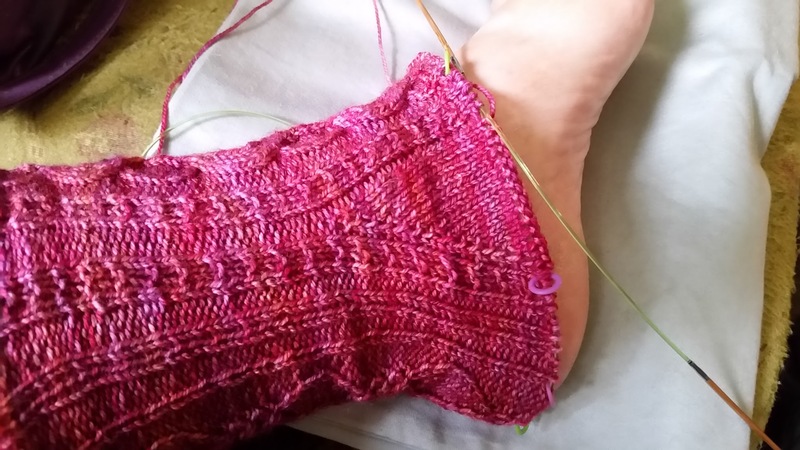 The gusset is all complete, and ready to turn the heel. See how the design goes all the way down the heel? I think I am going to like this sock. Even if I don't enjoy trying in on on a muggy afternoon. 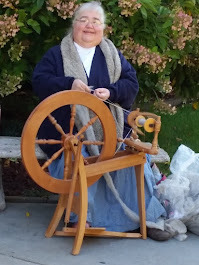 Wool doesn't wear well with 88 degrees and high humidity. I am so ready for cold and snow.